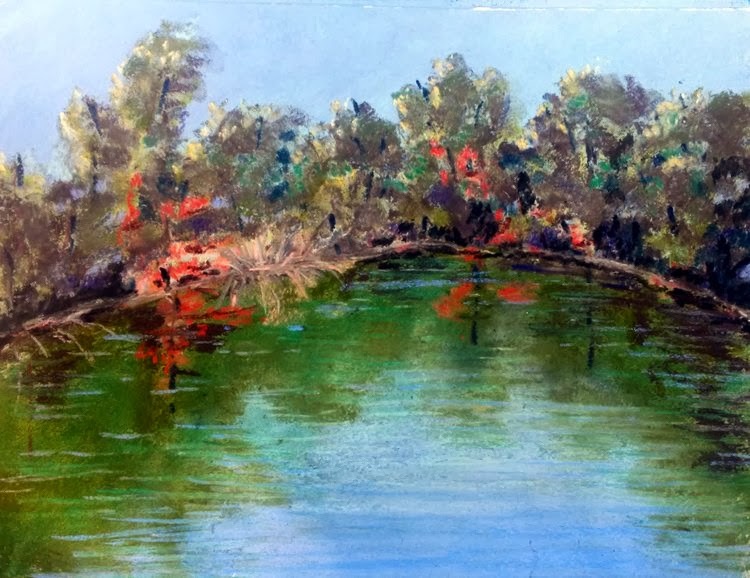 One of the members of the Art Guild of Orange Park, Donna Grasso, invited members to join her for a day of plein air painting at the Flyin W Farm in Green Cove Springs. The farm is beautiful and rural , with open fields, horses, sheep, and a lovely little pond. We had great weather this morning - and I took lots of photos of the horses and sheep, and may use them for reference photos. But for plein air I prefer non-moving targets, LOL. So I set up my easel by the small pond near the barns. I did this on Art Spectrum paper, 9x12, using a variety of pastels.